Founder of Echodub, one of the freshest Dubstep labels over the years, as well as being an established artist and DJ in his own right, Alex Cowles (DFRNT) has well and truly established himself in the world of Dubstep. 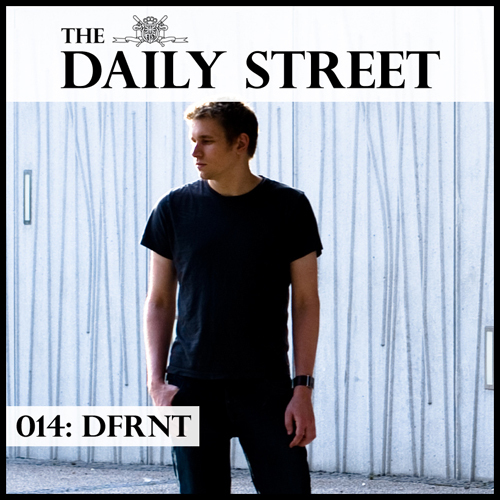 Maybe not the most familiar name to those who like their Dubstep to reflect the sound of nails being dragged down a blackboard in random rhythms, DFRNT is well known to those that appreciate the deeper realms on the edge of the genre. Not content with putting out some fantastic music and running one of the more forward thinking record labels, in both sound and approach to releases, Alex has recently set up Cut, a netlabel dedicated to bringing the best free music possible. For his mixtape, Alex has delved into the world of deep, dub-style 140bpm based music, resulting in one of the smoothest and most tranquil Dubstep mixes I’ve heard in a long time. Mixed with masterful precision, this mix effortlessly transfers from song to song, creating a true music journey. What did you do the mix on? What have you got coming up soon? “I’ve got a big EP coming on Nu Directions, with remixes from Jus Wan, Jack Dixon and ASC. That’s going to be limited edition CD, and a 12″ plus digital. Then I’ve got a few digital releases set for this year. Toffler records in Italy are putting something out, Gradient Audio are releasing an EP, Subdepth are putting an EP out, I’m hoping to get one out on Echodub, and there’s a couple of others I can’t mention. I’ve got remixes due for Unquote (just out I think), Jack Dixon, Quantec (if it ever surfaces) and I’ve started a new line of production which has seen some good feedback so far. I’ve also got other people’s music forthcoming on Cut and a nice big album project coming from the talented Muteqx on Echodub, followed by some really awesome digital EPs. I’m also planning something of a tour of the USA again this year after the success of last year’s DJing over there. This year I’m planning on seeing as much as I can, in a shorter period of time. Echodub is a sick label!